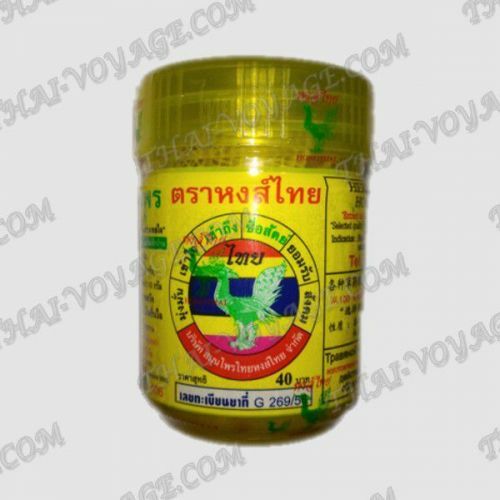 Thai herbal inhaler Hong Thai. - 1 packing (in the packing of 12 jars). A dry set of 15 herbs for inhalation, Hong Thai from Thailand is used for colds and flu, relieves headaches, helps with dizziness, nausea, and motion sickness. Accelerates the blood (increases blood circulation). Helps with weakness, fatigue. Acts as a febrifuge. Application: it is necessary to open the cover and take a few deep breaths to essential oils came on the mucous membrane of the nasopharynx. To enhance the therapeutic effect it is recommended to cover your head with a towel and breathe over the jar for 5 minutes.